Buy Carrom Stick Hockey Tables Here! 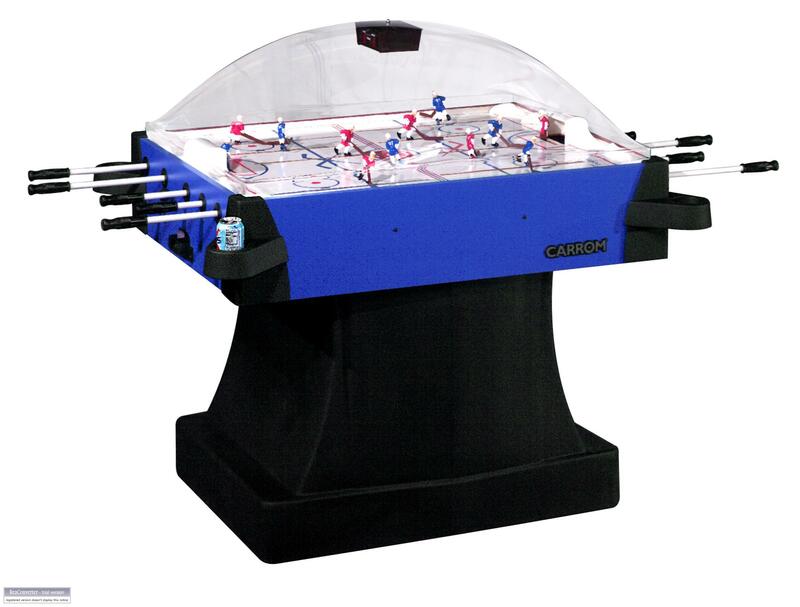 Buy DMI Sports Air Hockey Tables Here! 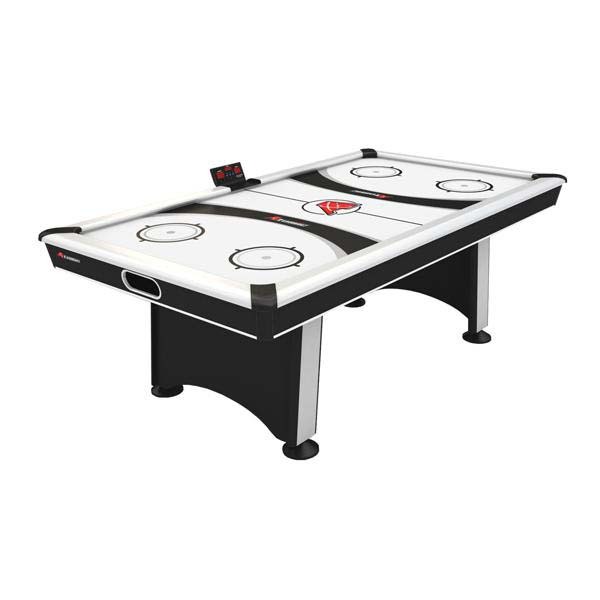 Buy Easton Air Hockey Tables Here! Buy Gamecraft Foosball Tables Here! 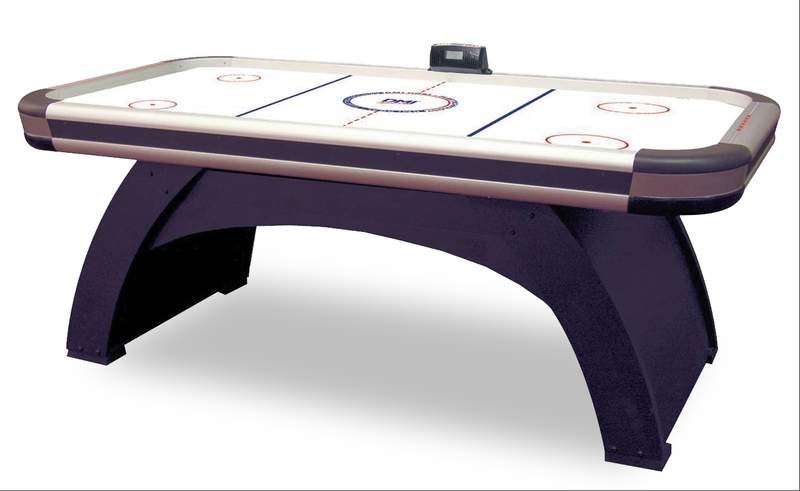 Buy GLD Air Hockey Tables Here! Buy Harvard Air Hockey Tables Here! Buy Shelti Foosball Tables Here! Buy Tornado Foosball Tables Here! 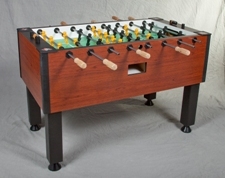 Buy Valley-Dynamo Foosball Tables Here! $99.99 + S&H (US only)! Join me on Facebook Twitter View my products on Amazon! Send inquiries regarding availability of all game tables to sales@wideworldofhockey.com. Free Shipping on Most Air Hockey Tables from JustAirHockeyTables.com! Article - A brief history of Foosball! Today's Price: $2,049.00 + $200 US Curbside Continental S&H (Shipping Terms) - $100 off regular price! 7' DMI Sports GoalFlex 180 Air Hockey Table w/ Thin Profile - HT350-D - Our best seller! Our Price Today: $699.00 + S&H (Shipping Terms) - Sorry - Out of Stock! Compare Prices here and buy it here! It's a gaming table that brings all the Arcade features home. Spend your time on fast, active play, not stuffing quarters into a slot... 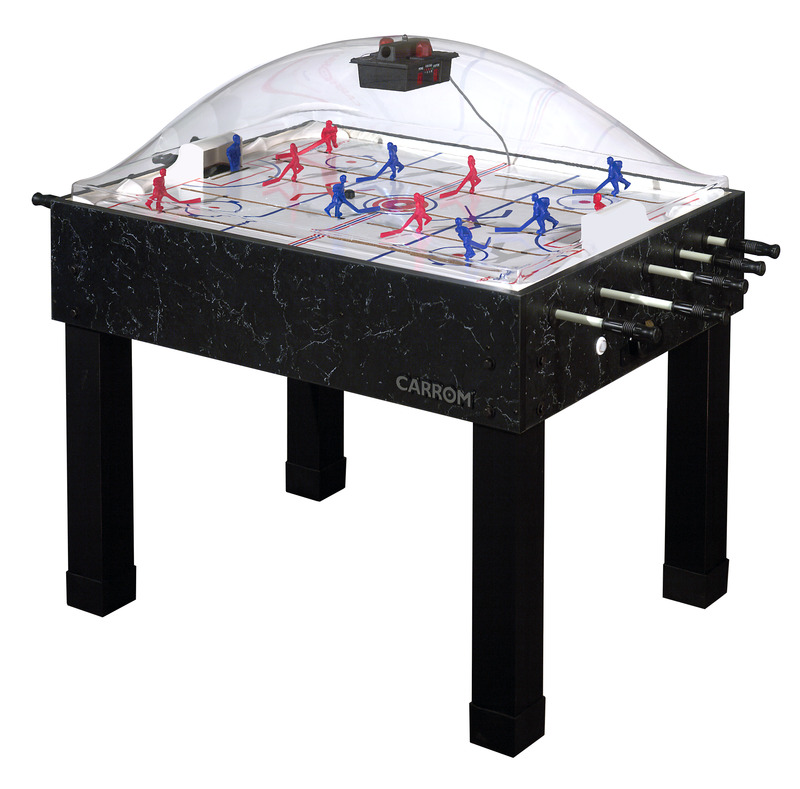 When you run the table, it's a good table to run, with a glossy PVC Laminate playbed with a 110V blower motor for smooth consistent puck action - with inlaid electronic scoring right in the playing surface, to keep your attention where it needs to be. The massive rails and 1 deep playbed give you more bounce and quicker play, kept stable on a heavy-duty tapered cabinet reinforced with criss-cross support frame designed to take years and years of aggressive play. Contemporary styling includes Taper Post legs with levelers which provide exceptional stability. Comes with 4 strikers and 4 pucks. 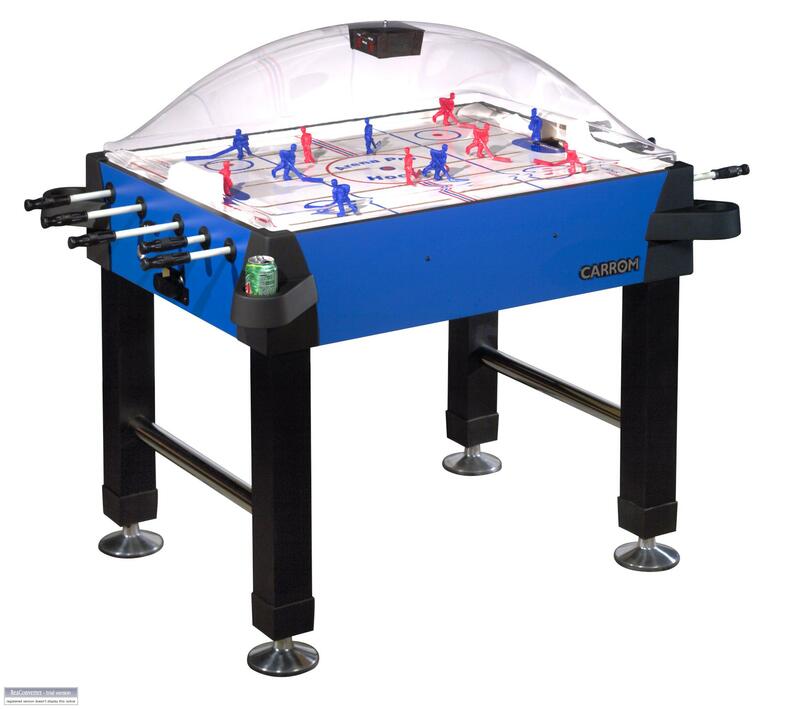 This Dynamo Pro Style home hockey table has a powerful blower motor and super fast play field. Features include black cabinet with blue playing field, premium quality blower for dependable service and tournament tested rails for accuracy and reliability. Inclined sides for greater player comfort with easy to clean surfaces over the entire cabinet. Electronic scorekeeper with side mounted LED display. All electronics UL approved and easily accessible for maintenance. Heavy duty polystyrene legs with pool table style, easy leveling bases. Freight charges apply to this item and you will be notified via email what your actual freight charges will be, before your order is processed. The Three Sided Air Powered Hockey Game. 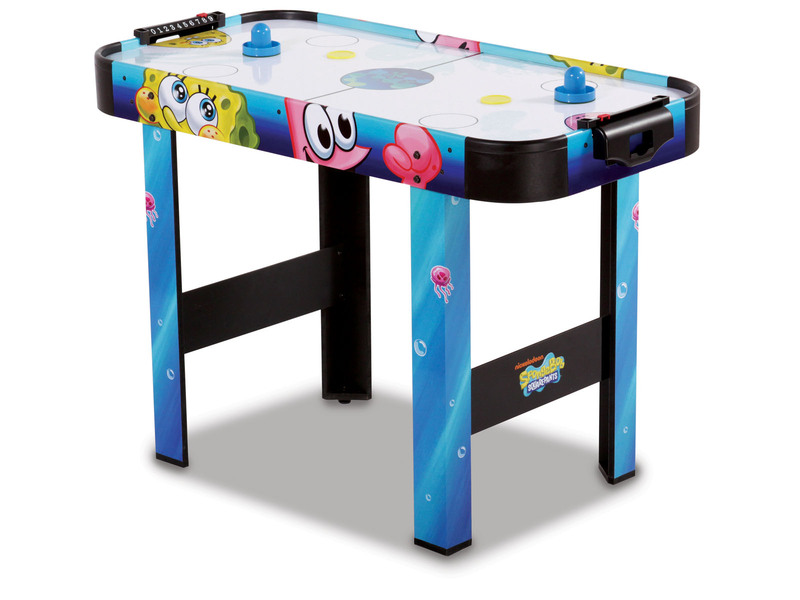 Advertise your new or used game table below for a weekly ad fee. Inquire at sales@wideworldofhockey.com. Miscellaneous air hockey & foosball tables links. Interested in advertising your products? Send your proposal to partners@wideworldofhockey.com.